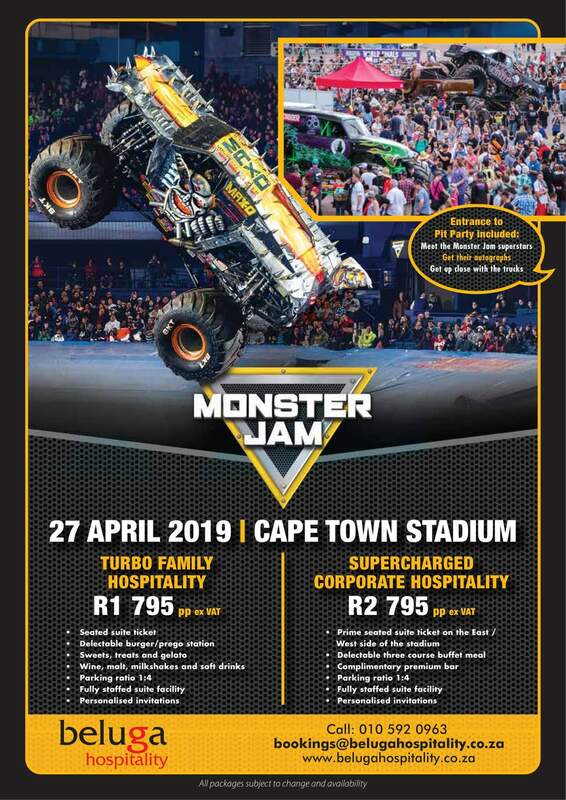 Monster Truck Juggernaut, Monster Jam is making its way to South Africa for the first time ever in 2019 and will be hosted at the Cape Town Stadium on 27 April 2019 & the FNB Stadium on the 4th of May 2019. With the best truck line-up ever assembled for an international performance, the show will feature six of the world’s most famous Monster Jam trucks. The show takes place on specially designed tracks that optimise mobility so that the giant trucks can go head-to-head in wheelies, doughnuts, racing and freestyle competitions, pushing them to their limits. 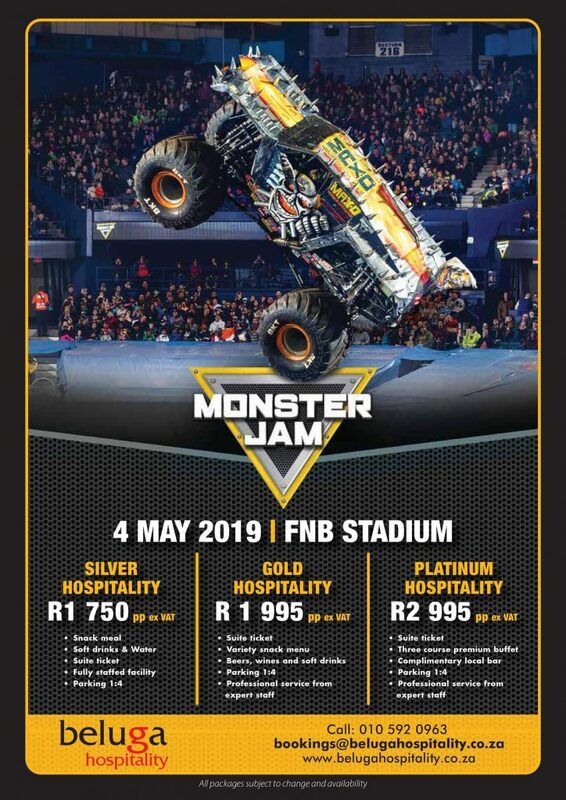 Expected to appear: El Toro Loco, Gas Monkey Garage, Grave Digger, Max-D, Monster Energy, Zombie. 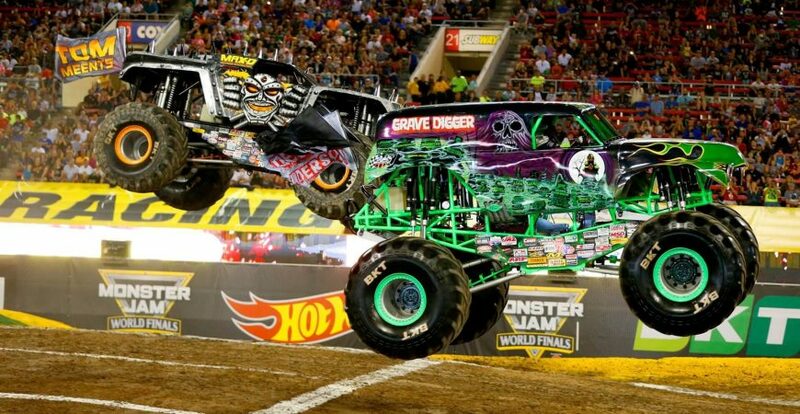 *Packages include Pit Party entrance included to meet the Monster Jam superstars, get their autographs and take photos with the monster trucks.